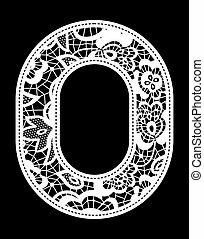 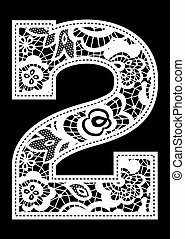 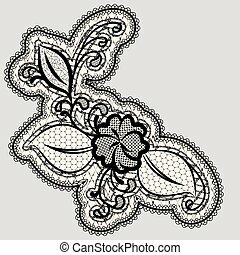 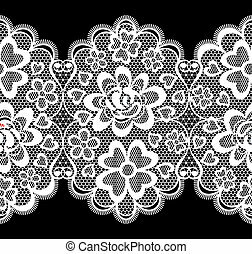 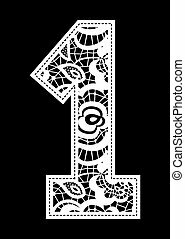 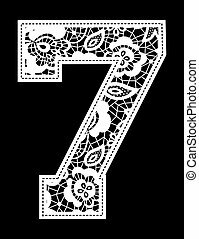 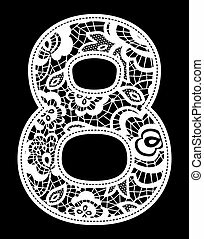 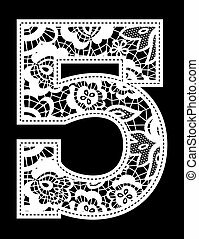 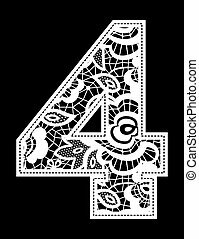 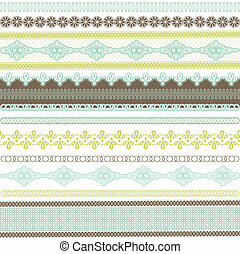 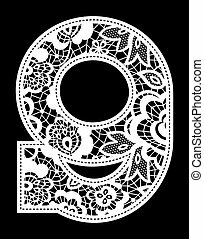 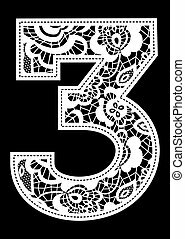 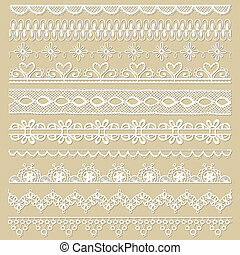 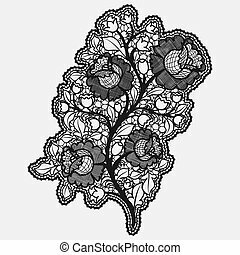 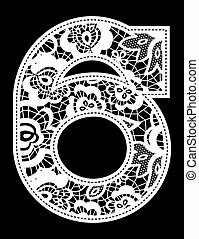 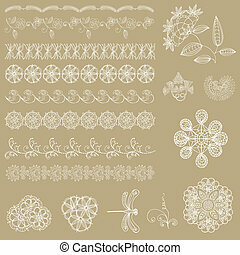 Embroidered lace design in vector format very easy to edit, individual objects. 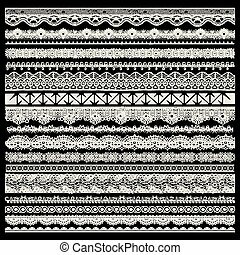 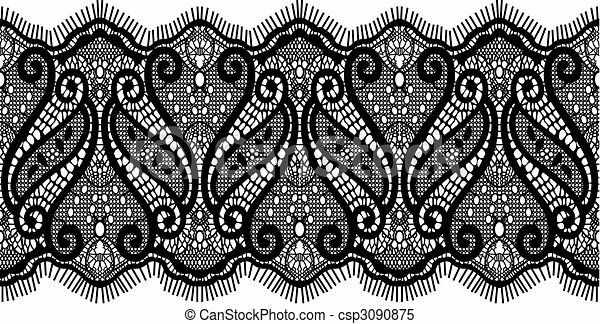 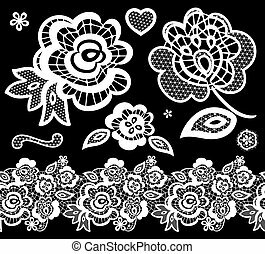 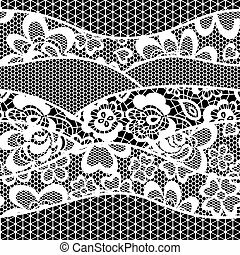 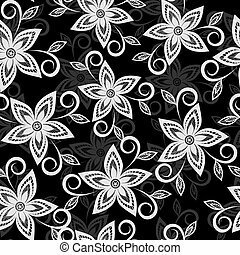 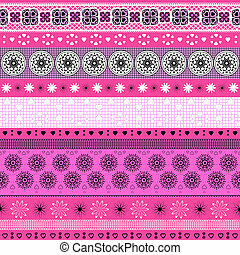 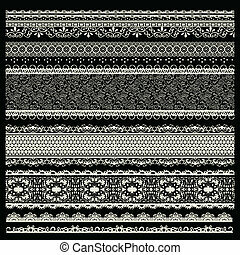 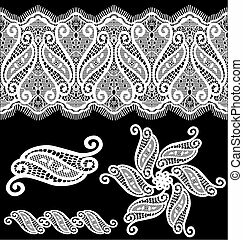 vector set of lace trims isolated on black background. 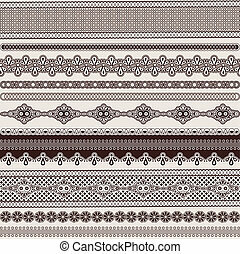 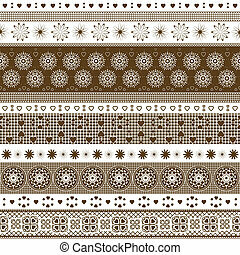 Embroidered seamless beaded pattern vector design. 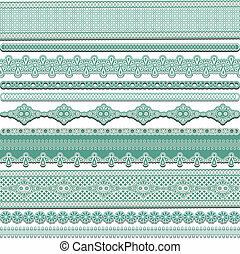 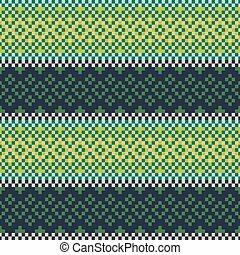 Cross stitch pixel background greenery colors. 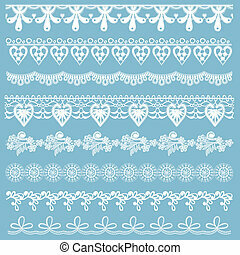 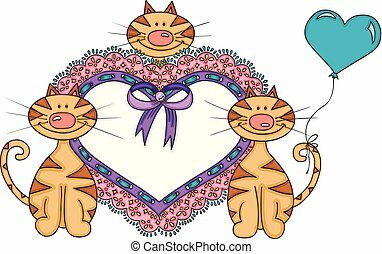 Scalable vectorial representing a cute cats with heart embroidered on tape lace, element for design, illustration isolated on white background.